This is an award-winning and bestselling tale of friendship and courage. Only in wartime could a stalwart lass from Manchester rub shoulders with a Scottish aristocrat, one a pilot, the other a special operations executive. When a vital mission goes wrong, and one of the friends has to bail out of a faulty plane over France, she is captured by the Gestapo and becomes a prisoner of war. 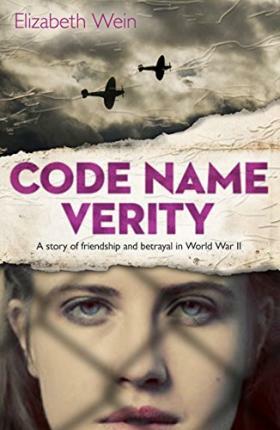 The story begins in 'Verity's' own words, as she writes her account for her captors. Truth or lies? Honour or betrayal? Everything they've ever believed in is put to the test..."A remarkable book." (Daily Mail). Elizabeth Wein was born in New York, and grew up in England, Jamaica and Pennsylvania. She is married with two children and now lives in Perth, Scotland. Elizabeth is a member of the Ninety-Nines, the International Organization of Women Pilots. She was awarded the Scottish Aero Club's Watson Cup for best student pilot in 2003 and it was her love of flying that partly inspired the idea for Code Name Verity.